NBC’s other late-late night host Jimmy Fallon got on Ryan Seacrest’s KISS FM radio show this morning to discuss his one year anniversary in network late night. But, of course, their chat rounded toward Conan O’Brien’s prospects. Fallon said he had just talked to Conan over the weekend after he saw him posting on Twitter. Seacrest asked whether he’ll come to Fox. Fallon said he had not specifically asked Conan or his people about the move. But says it’s a “tricky” one, since Fox will have to convince each of its local affiliate stations to buy Conan’s show. As Seacrest explains, there’s only about two hours of free network programming since the rest of the time is occupied by newscasts and programming purchased by the local stations. 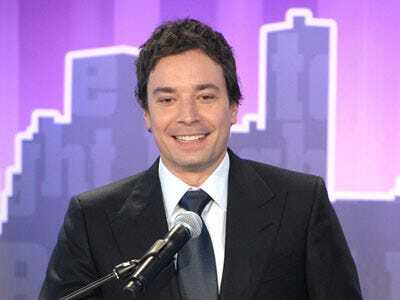 “You’re not guaranteed to be played everywhere so it’s almost like doing a show for five people,” Fallon said. Fox, by the way, still has not publicly come out with an official statement about whether or not Conan is having serious talks with them. Listen to the whole recording.